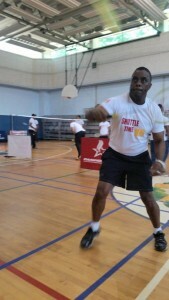 Shuttle Time – the Badminton World Federation’s schools development programme – has blown out 100 candles in Panama! 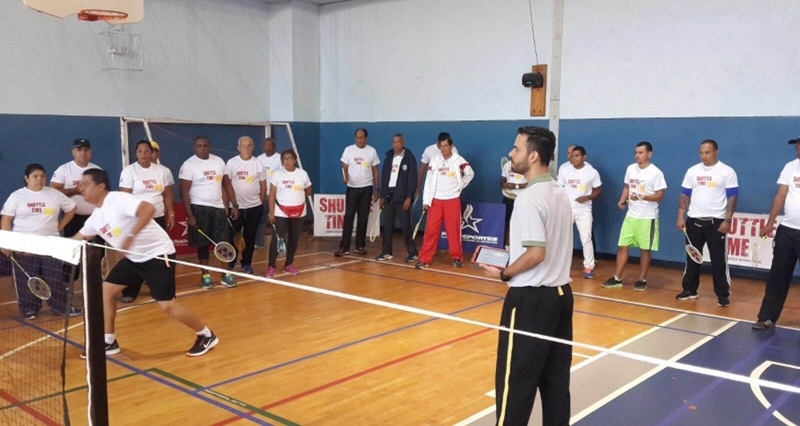 This Central American nation last week had the enviable distinction of staging the 100th implementation of the global grassroots initiative which has spread badminton to all five continents. First piloted in Tonga in the South Pacific in late 2011, Shuttle Time has quickly left its imprint worldwide, with BWF member associations embracing it as the primary means of growing the sport among schoolchildren. It allows teachers and tutors to develop the skills, knowledge and confidence to introduce badminton in a safe, fun, inclusive manner. By continental confederation, the numbers of implementations are as follows: Africa (17); Asia (25); Europe (27); Oceania (8) and Pan Am (23). This includes partnerships with the International Olympic committee at its Sport for Hope Centres in Haiti and Zambia. This has far exceeded BWF’s initial goal of establishing Shuttle Time in 30 countries by the end of 2015 and, with resources now available in 17 languages (Mongolian and Nepalese to be added later this year), Shuttle Time is expected to continue blazing the way in badminton development. “This is a fantastic milestone for BWF. We’re very proud. We’ve received great support, and the programme has proved to be easily implementable. 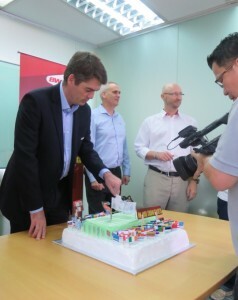 It’s amazing that we’ve reached 100 implementations,” stated BWF President Poul-Erik Høyer. Chairman of BWF’s Development Committee, David Cabello, is equally thrilled about the prized landmark. “I am extremely happy and proud that BWF has reached 100 national Shuttle Time implementations. The programme is supporting the growth of badminton at a grassroots level globally, and is providing many opportunities for children to be active through badminton,” he explained. BWF Secretary General, Thomas Lund, highlighted the major contribution of BWF member associations and other stakeholders in this “fantastic achievement”. The manner in which they have responded to Shuttle Time, he pointed out, has been pivotal to its success. He also saluted developed badminton nations for embracing the BWF Equipment Donation Project which supports Shuttle Time, with more established badminton countries adopting those now getting a foothold in the sport through public donations of rackets, shuttles and other badminton necessities. Meanwhile, Panama Badminton Association President, Dr Elvys Villareal, said Panama “is delighted to be part of the BWF Shuttle Time family – particularly the 100th country”.